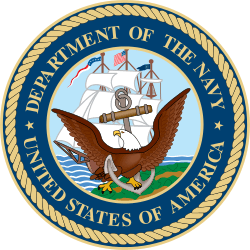 Public Law 107-107, the "National Defense Authorization Act", establishes senior enlisted strength levels for all branches of the US military. 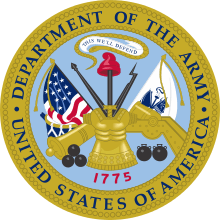 Currently, only 2.5 percent of the Air Force's total active duty enlisted strength may hold this rank..
Senior master sergeants are sometimes casually referred to by the nickname of "Senior", although this term of address is not appropriate according to Air Force Instruction 36-2618. The official terms of address are "Senior Master Sergeant" and "Sergeant" per Air Force Instruction 36-2618. 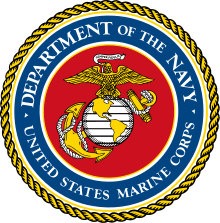 Although the Air Force had been an independent service since 1947, the rank of senior master sergeant did not come into being until the authorization of the Military Pay Act of 1958. 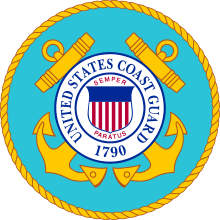 This act established the pay grades of E-8 and E-9 but without title. 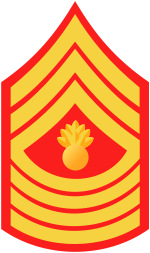 It wasn't until late 1958 that the title of senior master sergeant (and the accompanying rank insignia) was decided upon after the enlisted force was polled. 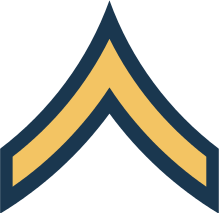 At that time, the senior master sergeant rank had only a single chevron above and six below, and a chief two above and six below. 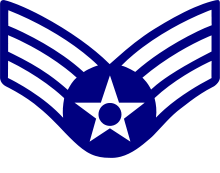 In 1994 the Air Force changed its NCO insignia so that a maximum of five stripes were placed on the bottom of the chevrons, adding one above to each of the top three grades, resulting in the present form. ↑ "10 U.S.C. § 517". law.cornell.edu. Retrieved 2013-07-20.